Thank you to those who created this wonderful app!! The ability to identify (and thereby learn) about the flora and fauna we humans are so lucky to find all around us is a dream come true! We share this beautiful* planet with such a stunning variety of life... To be able to learn about the animals, plants, fungi & more which we see around us is a gift! * It’s precisely this amazing variety of life, in all it’s forms, which is the source of our planet’s beauty . I hope this app will give more people pause & encourage them to give thought to that which is necessary to preserve & to keep this amazing planet & ALL it’s inhabitants healthy. Whether initially inspired by “selfish” reasons i.e., “what do I need to do to preserve this perfect home for the future of my children, grandchildren & the generations to come within my own family ” OR inspired by more “altruistic” reasons: what must I do and what must we do to keep this miracle of a planet healthy for the sake of the planet and all its inhabitants as a whole… In the end both groups will find that the true and lasting answers to these questions lead them down the same path. By necessity this includes learning about life all around you and how to best keep it healthy. This app provides a great service to that very end. If I could, I would marry this app. iNat is the best thing that has ever happened to me. I have learned so much and have met so many amazing people through this app. Before iNat, I was the weird person who liked bugs. With iNat, I have slowly blossomed into an amateur subject matter expert documenting previously unknown behaviors/species relationships/coloration variations and submitting specimens to university entomological collections. I went from not being able to tell the difference between rice stink bugs and brown stink bugs one year ago to knowing hemipteran scientific names better than the common ones. Sure, iNat didn't do that in and of itself, but it facilitated my self-education and gave me the means to organize my data/photographs, and my competitive nature motivates me to go out and DOCUMENT ALL THE THINGS! The iNat people are continually improving their platform, and this mobile version is the best yet. The photo suggestion tool is amazing and sorely needed. Not perfect, but it's THE BEST version of photo ID out there and I'm frankly amazed by how good it is. 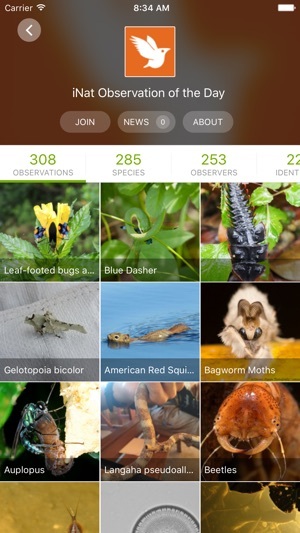 iNaturalist is a great community sourced nature application that allows users to learn about a comprehensive amount of wildlife whether plant of animal and and observe and record their findings. 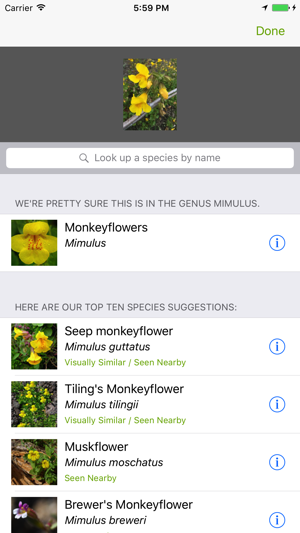 The application makes it easy to learn about wildlife with all the captured data from scientists and other users like yourself including titles, descriptions and photos of subjects. The community can also aid you in your findings with suggestions on wildlife you have observed. 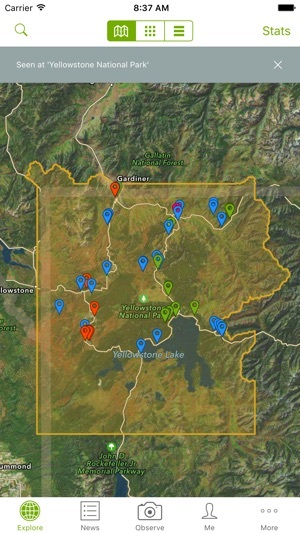 Users can look up wildlife captured in their location or easily add it with the camera on the device they are using. The app allows users to create projects you can continually add to as well as follow projects from others you are interested in. 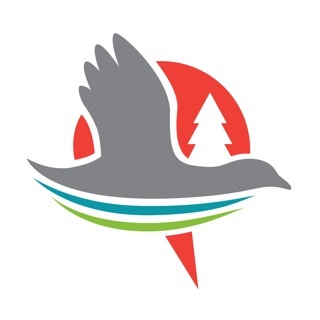 iNaturalist also has a news section detailing the latest captures from the community as well as the latest developments concerning the application. 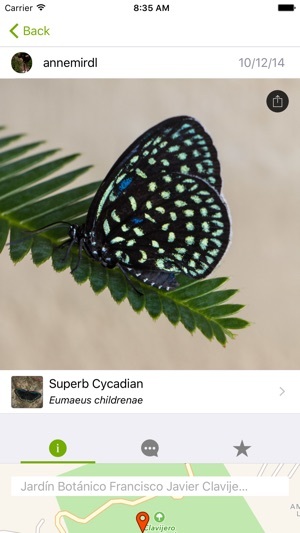 For professionals as well as amateurs iNaturalist is a great tool to learn more about our everyday surroundings both near and far.